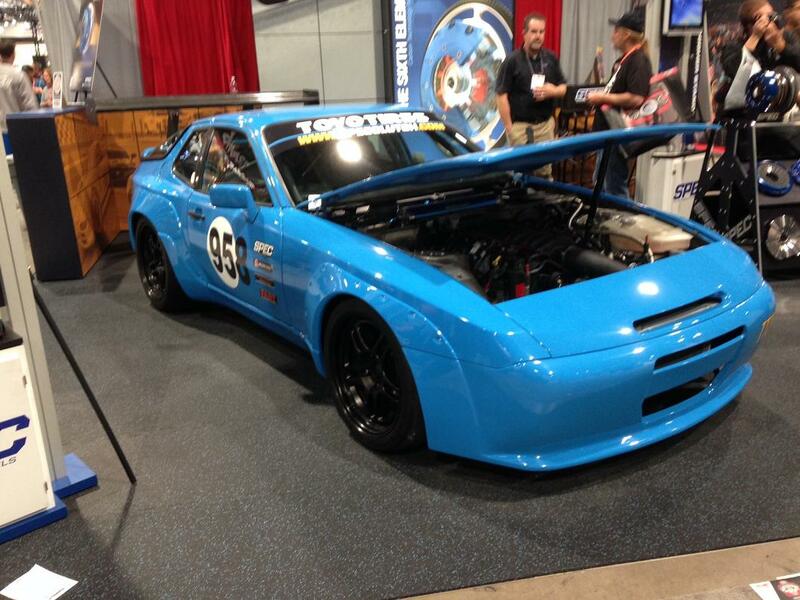 The photo above shows our GT2 kit being displayed on a 951 at the 2014 SEMA Auto Show. All components are lightweight hand laid fiberglass cloth with black gel coat. 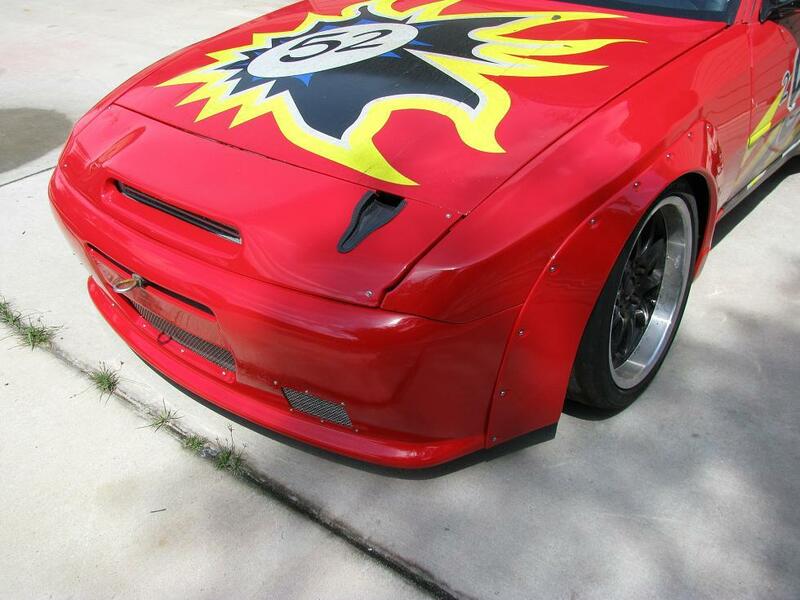 Kit requires professional installation, including fitment, prep, and painting. 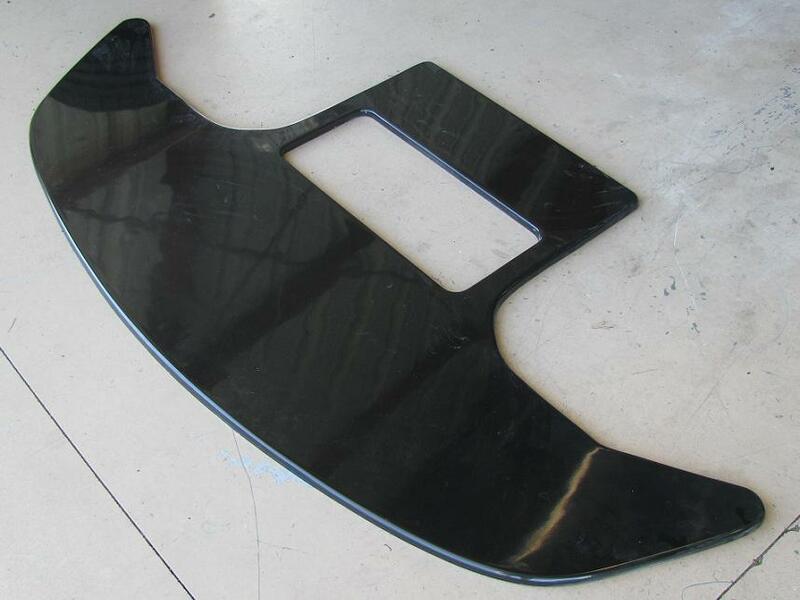 Fender flares may be mounted by rivets, nut inserts with stainless button head screws, or bonded into stock fender. Nose does not include brake ducts as seen in some of the photos. 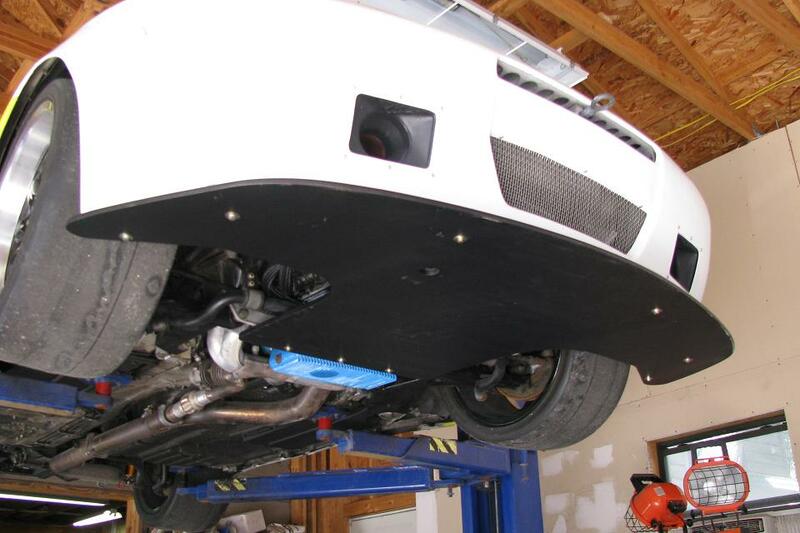 Brake ducts are an additional $60 and an additional $160 to install them into nose. The two sections in the middle of the nose for intercooler inlet and radiator cooling will come solid, and must be cut out with a body saw. 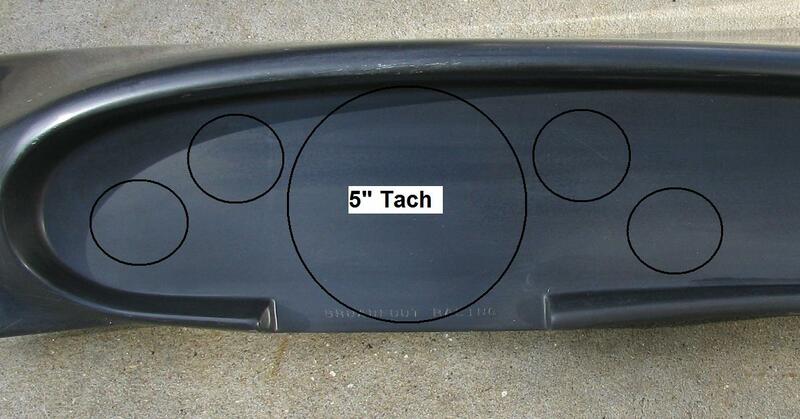 This takes less than 5 minutes for any knowledgeable body shop. The reason for this is... Everyone has a different application, and allows the end user to cut out custom to their application. 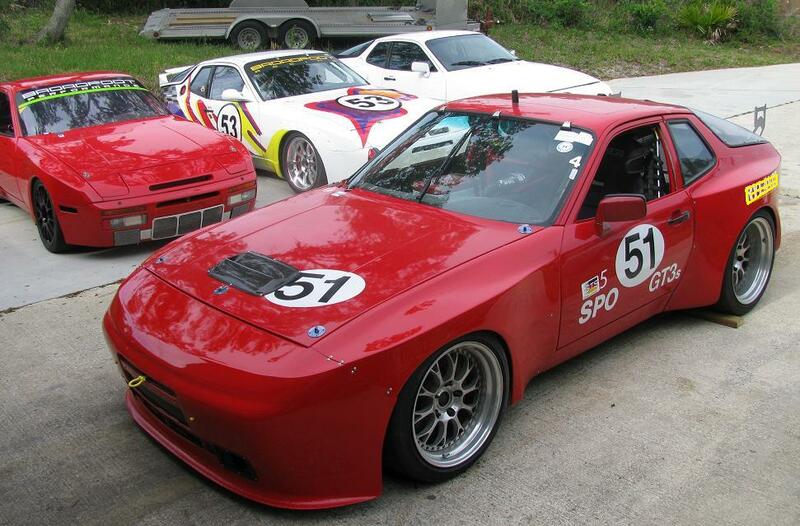 The concept behind this type of body kit is to make installing simplified over other types of kits requiring complete front and rear quarter panel replacement. 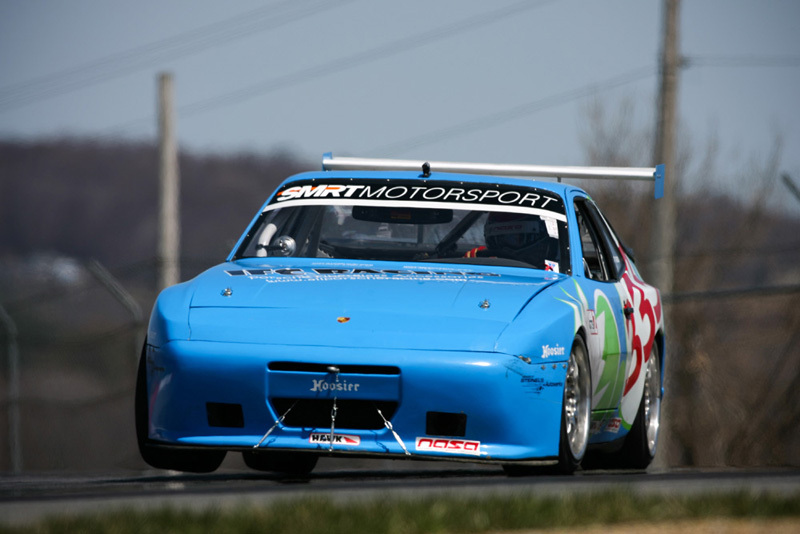 It is very similar to the factory Porsche fenders as used by Porsche on their 993 GT2 twin turbo racecars (1996 -1997). 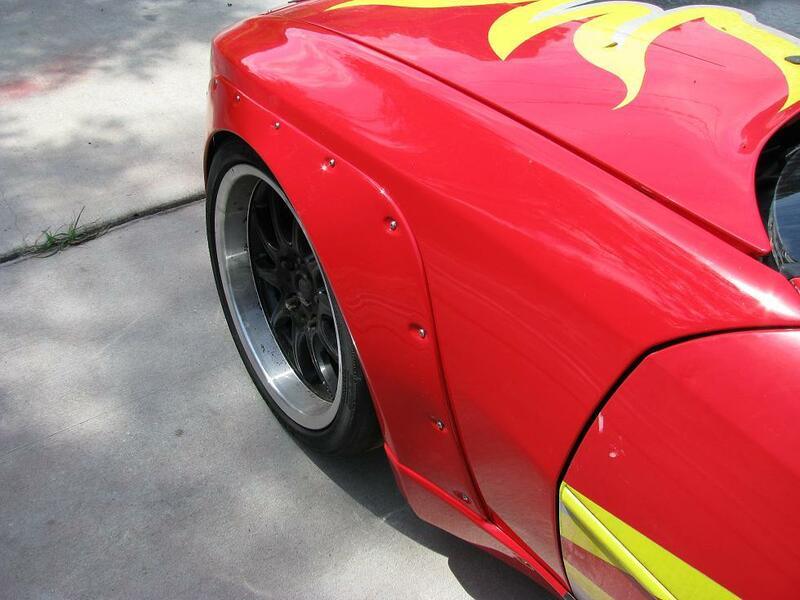 The front flares allow up to a 11" width wheels, and the rears up to 12" width wheels. 285/30-18 tires in front and 315/30-18 tires at rear. 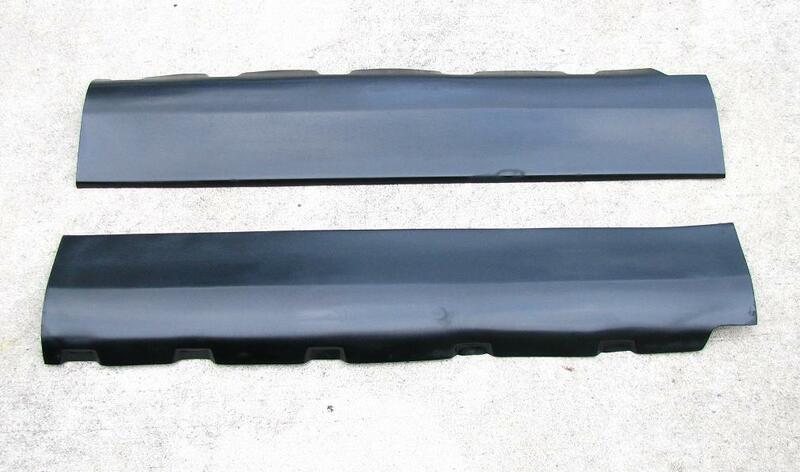 The rockers are about 1" lower than stock and are a perfect fit between the front and rear flares. The rockers mount over the stock ones. 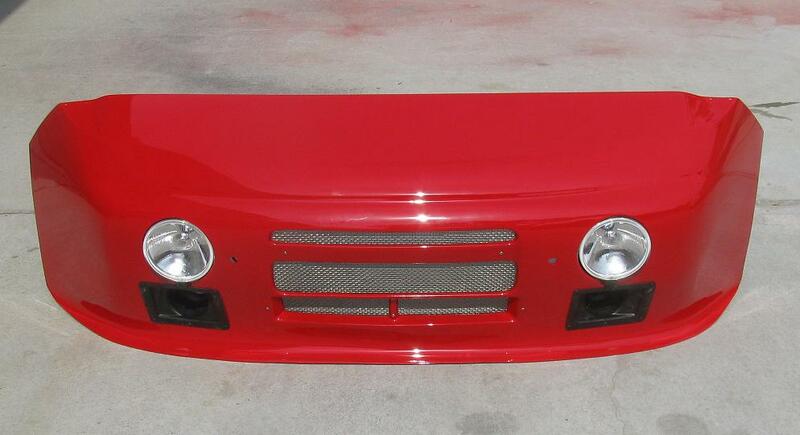 Our new wide body nose is a total of 2" wider from side to side and contours into our wide body front fender flares, and has a 1/4th inch larger air intake opening for intercooler (from top to bottom) . 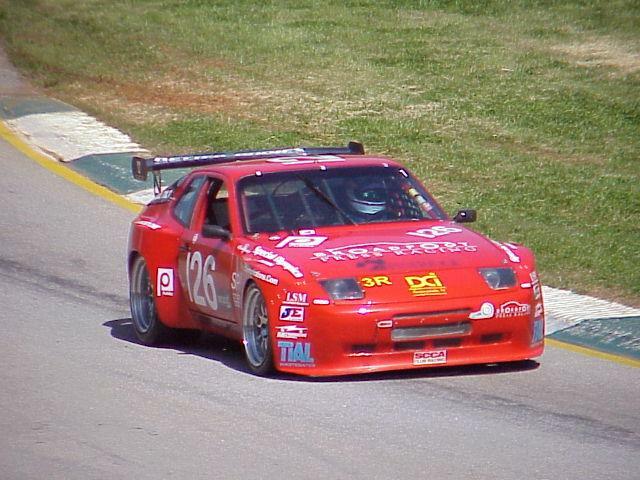 Note: The front fender flares come full length (all the way down to front nose lip as seen on our red car (see photo below), and must be cut along fender line (after pre-fit) if used with our "wide body" front nose. 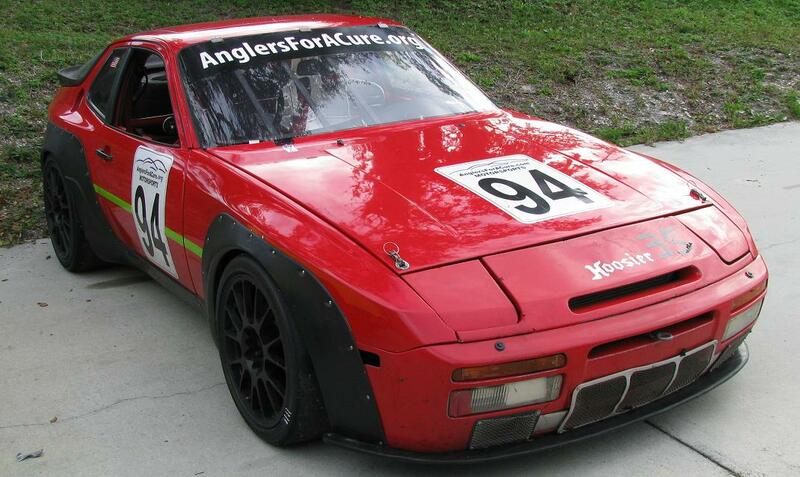 These fender flares and turbo nose may also be mounted to any 1983 through 1989 Non-turbo 944, but requires modification to the front fenders at the front of the fender where it contours into the nose. 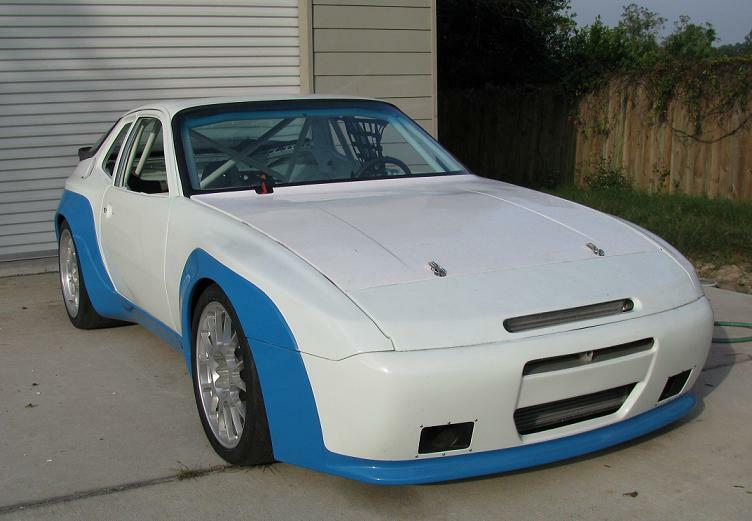 If installing on a Non-turbo 944 you will also need the aluminum bumper behind the nose to help support it, and you will need a turbo header panel and headlight covers. 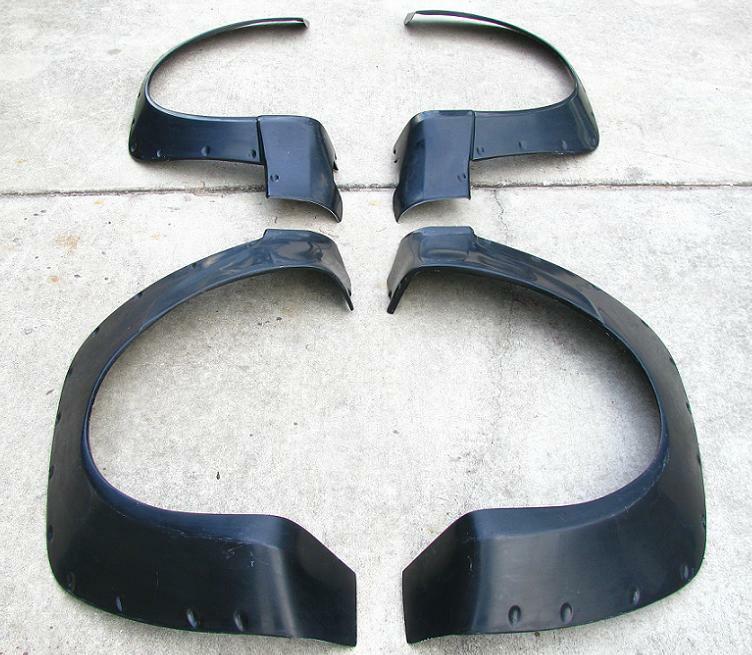 After pre-fitting the complete kit you will remove the fender flares (after drawing a line around the outside) and cut about 1" off all the way around the stock fenders at front, and around 3" at rear. 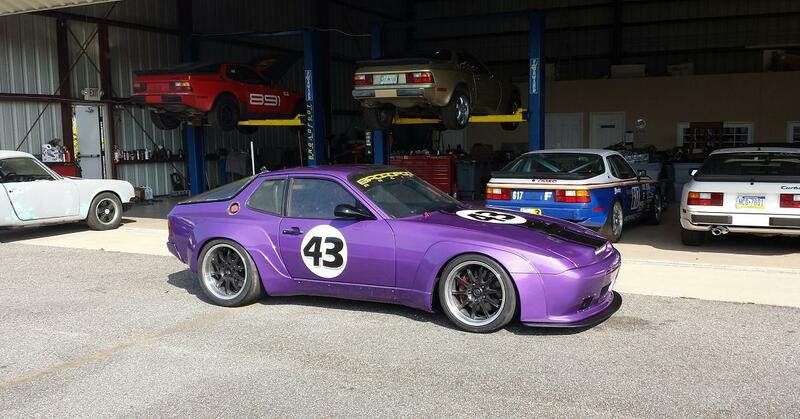 This will look better after installed and allow room for the larger tires when lowered. The rear wheel tubs will need to be fiber-glassed so water and debris doesn't inter the car. As seen in most of the photos- the turbo rear lower diffuser will need to be removed or modified for our GT2 rear flares to fit properly. 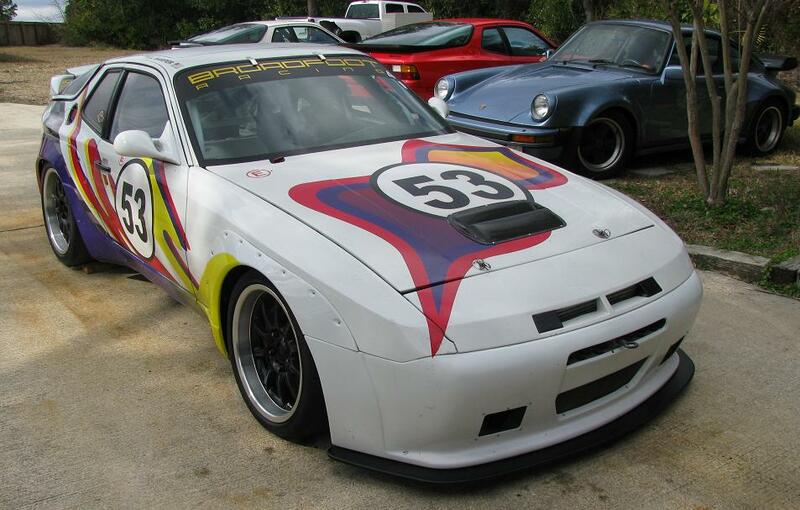 The photo of the white 951 (with graphics) show the wide body flares bolted to the original fenders. The white and blue 951 show how the flares look when bonded and filled in. 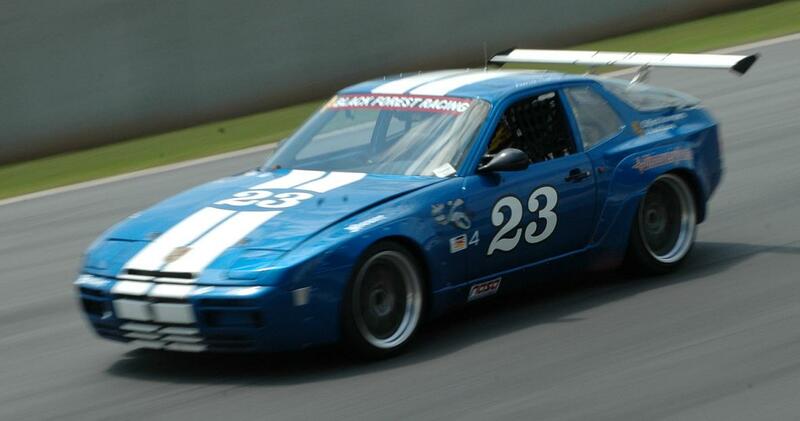 Race cars typically don't use bonded in flares as they are easier to replace after an accident. 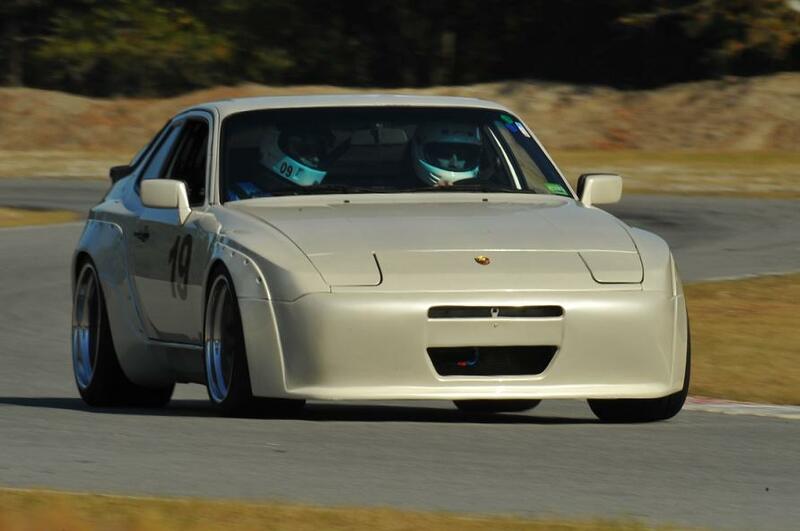 Modification to fender if using front nose on non turbo 944 shown in photos below. 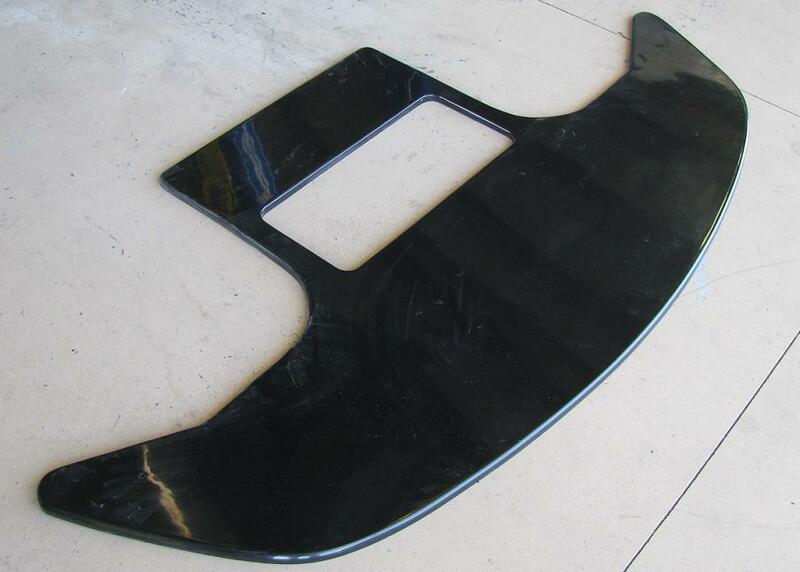 High Gloss Black Gel Coat Fiberglass Splitter / Under Tray - extends 3" past the front of the lower nose lip, and goes back to the sub-frame where it mounts. It is super strong and fully functional. 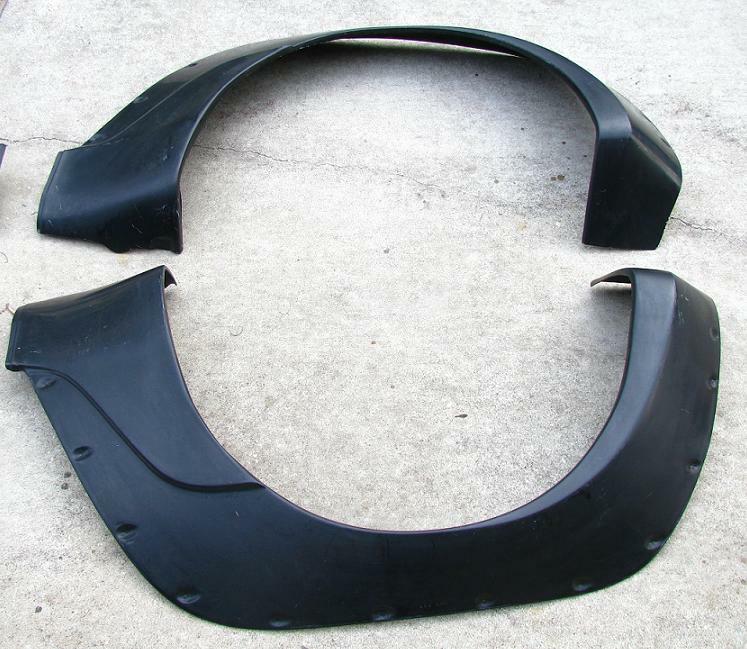 It also protects the nose from damage during off-road situations. 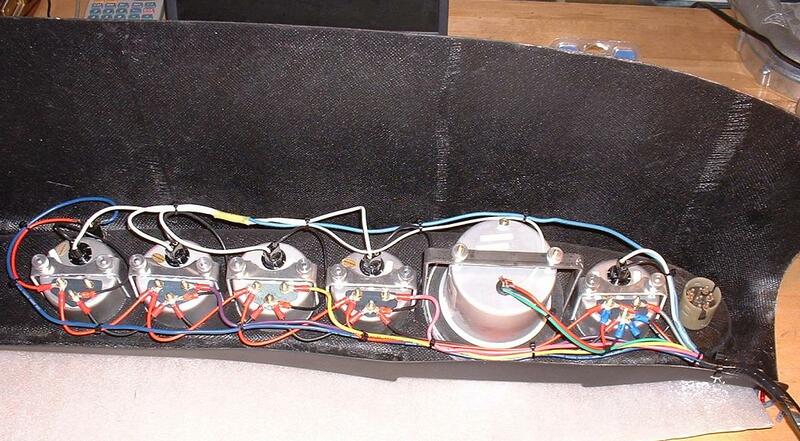 Also has a cut-away to make belt adjustments. 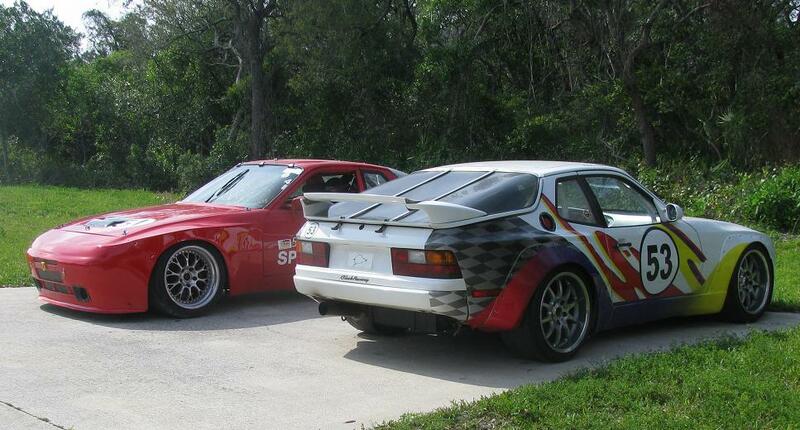 May also fit stock 951 and 968, but we have not tried mounting to these car yet. 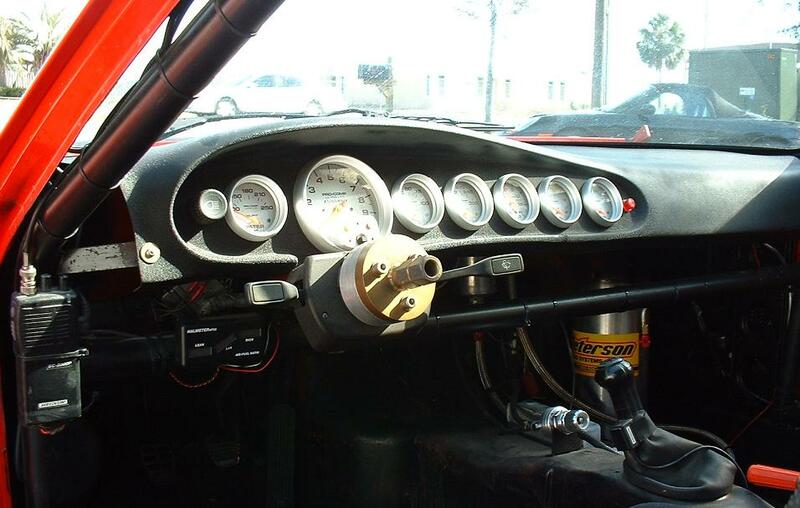 Designed to be used with our fiberglass noses. 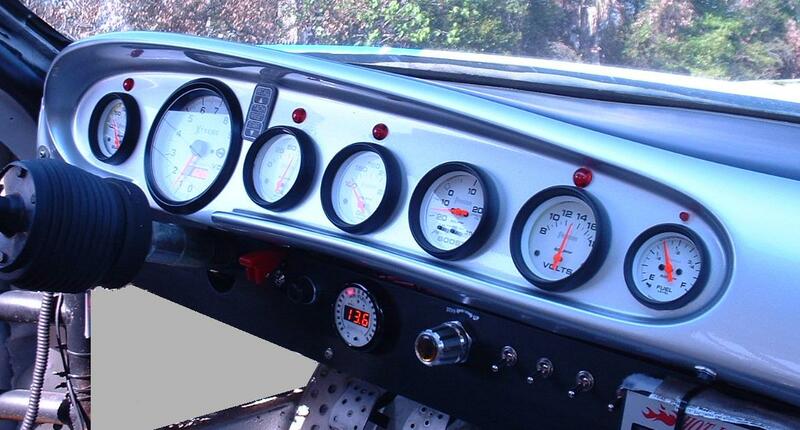 As far as I know- we are the only company who makes this panel in this configuration. It deletes the front headlight and has no additional air vent for intercooler, which is more aerodynamic and has cleaner lines. Requires prep, paint, and mounting. 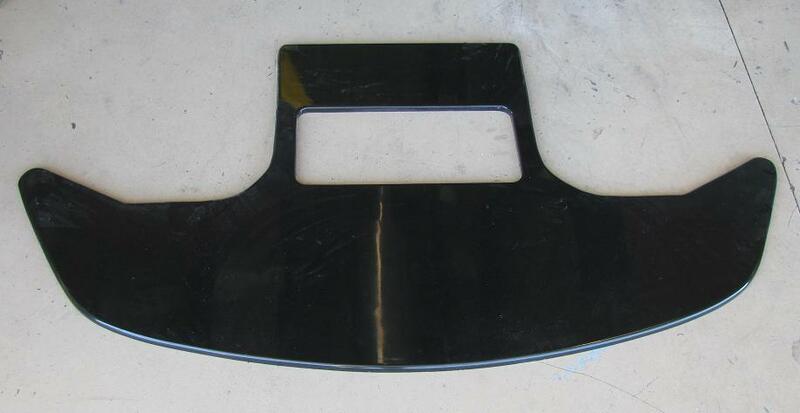 This will fit any 944 turbo or 944S2 and is required for any 944 if you are mounting a 944 turbo front nose. We have and own the mold for this part, and can make as many as you want. 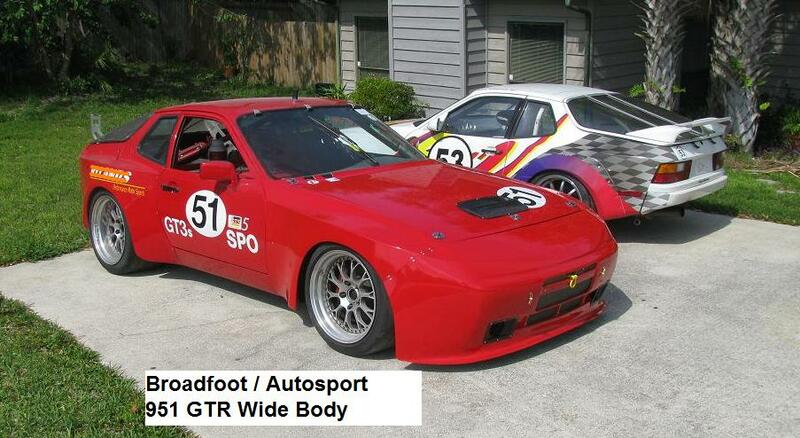 This is the same body kit we used on our Grand-Am Pro Racing cars in the year 2000. 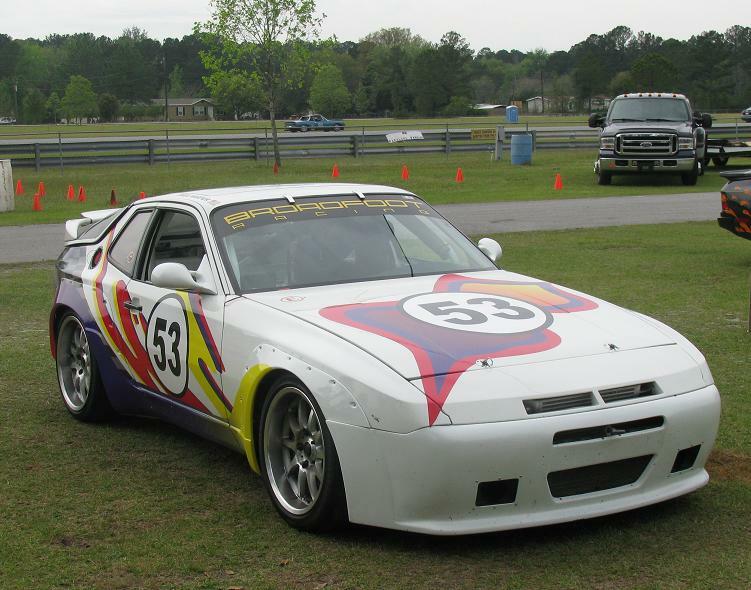 We finished 2nd overall in Grand American Road Racing Championship GTO class points, and we were the last Porsche 944 Turbo ever to run in a "Pro Race"! 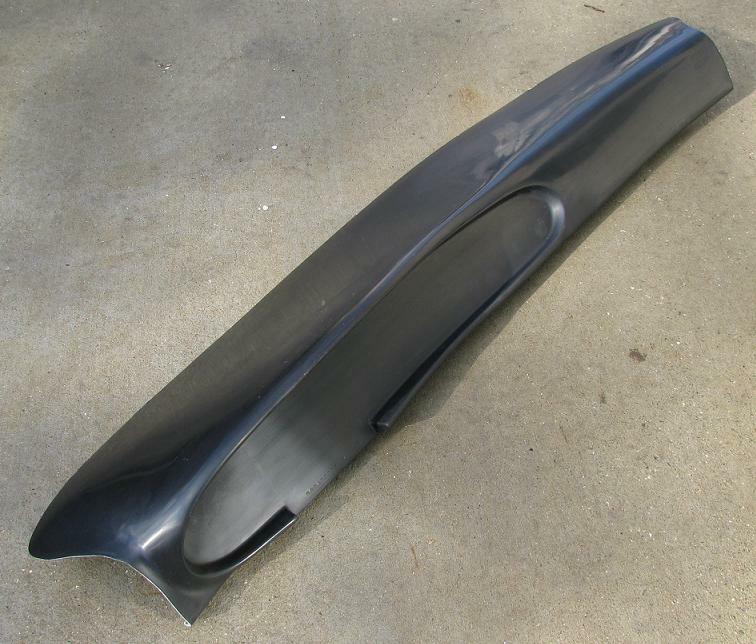 We have and own all of the molds for all of our fiberglass parts. 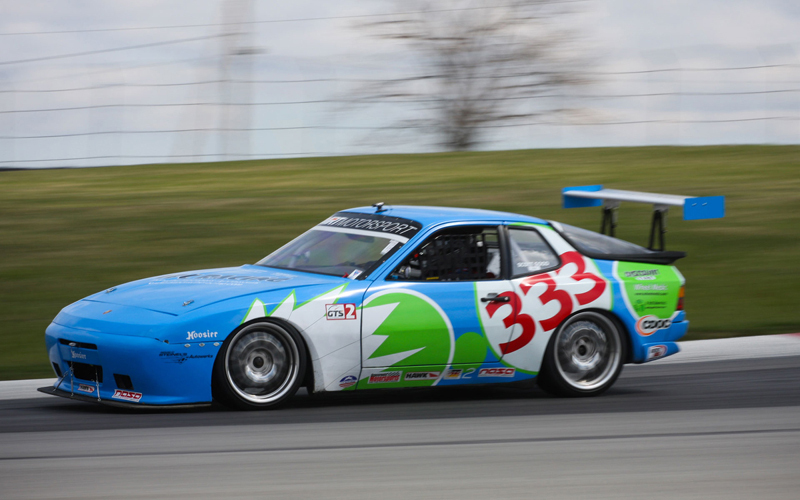 951 GTR nose mold shown in green. 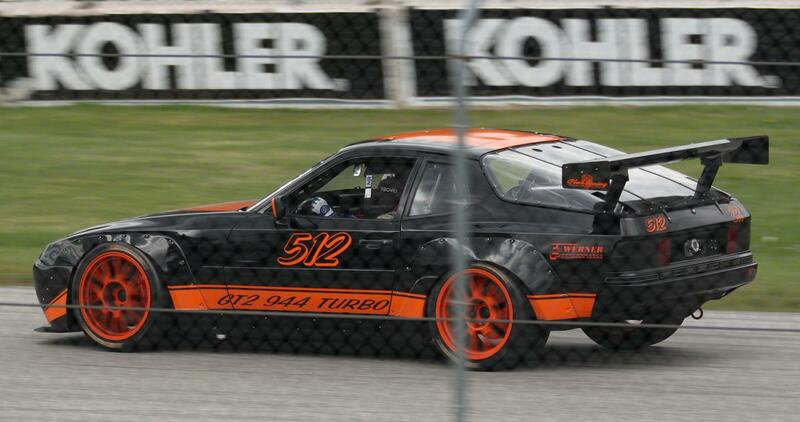 Will fit up to 11" wide front wheels and up to 12" rear wheels. 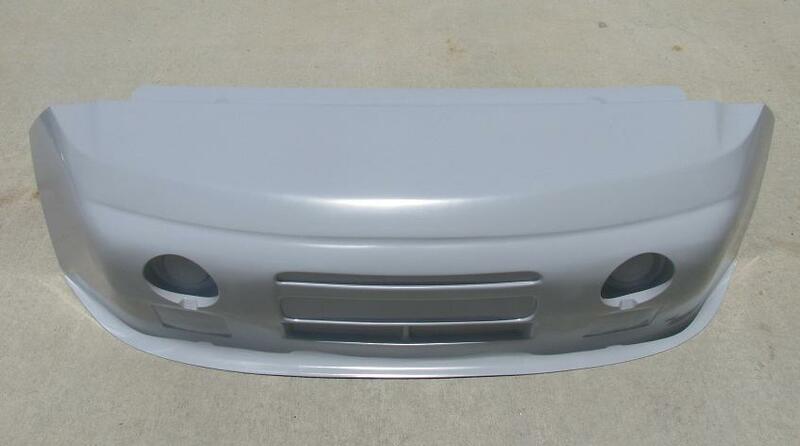 Nose comes with headlight buckets to easily mount Hella 500 driving lights (or you may fill in for solid look). 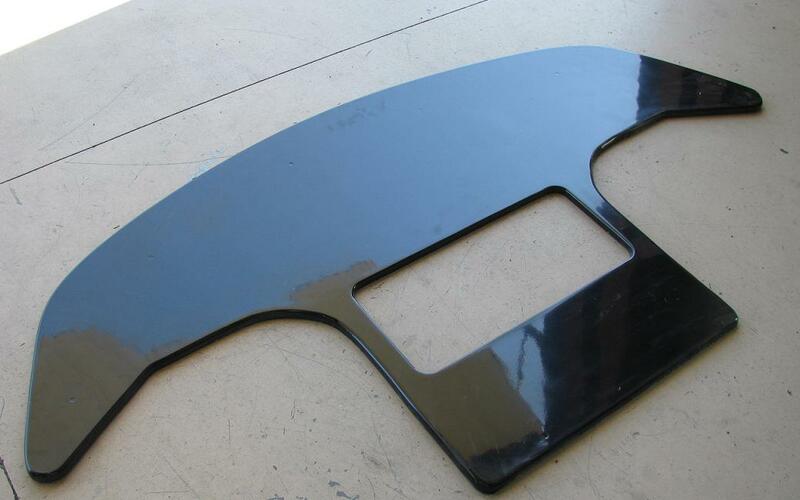 The header panel is made into the nose for better aerodynamics, easier mounting, and better strength. Stock headlights are deleted, but you can cut out in this area if you want to mount your own light buckets and clear lenses as we did on our Daytona Cars. 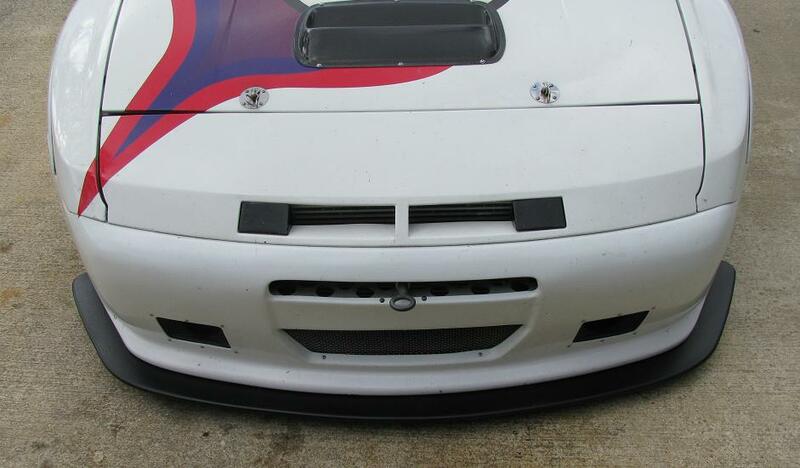 Our nose completely covers the front tires when viewed from the front. 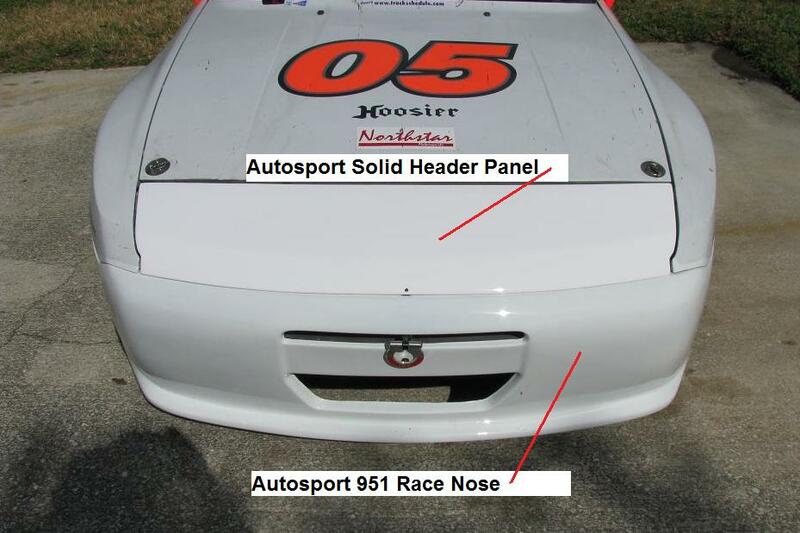 All other noses we have seen on the market are incorrect and expose at least two inches of the tires, which makes them look goofy, and are not aerodynamic! 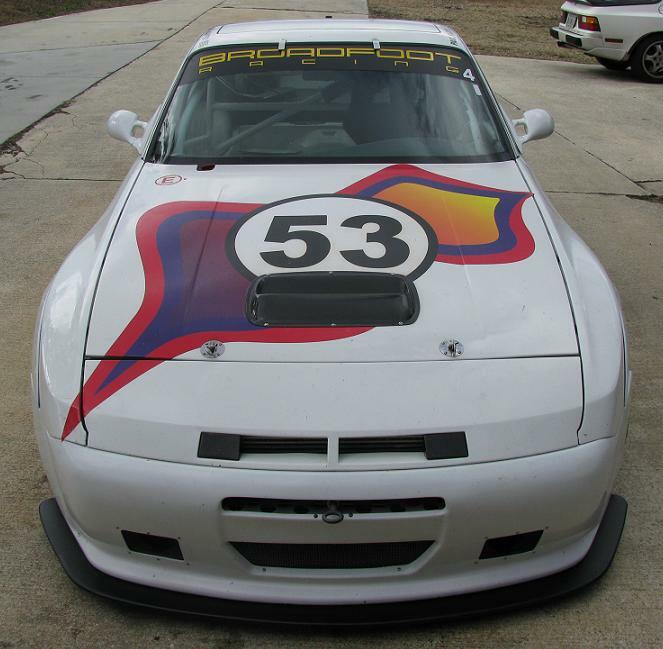 This nose must be used with our wide body front fenders. 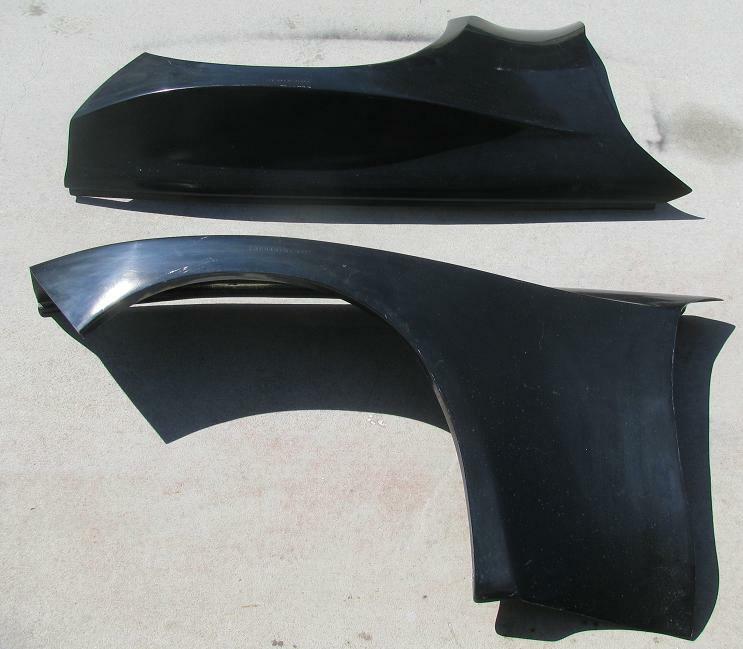 When installing the rear fenders- the stock rear wheel tubs will need to be cut out and re-fiberglassed to except larger rear wheels and tires without rubbing. 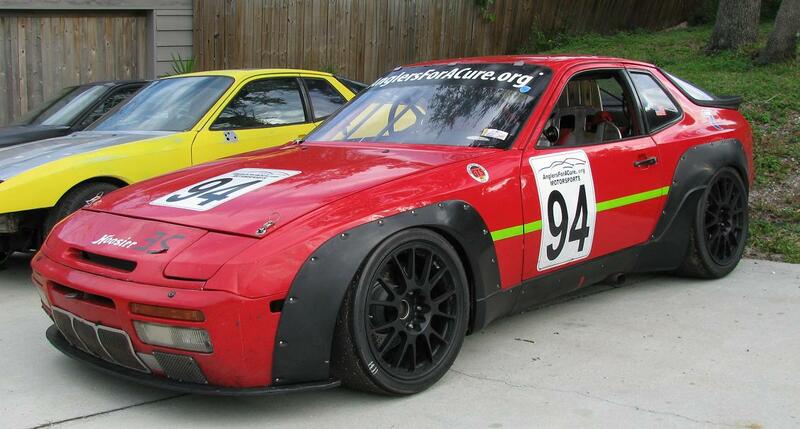 When fitting front fenders- mount to the car and nose. 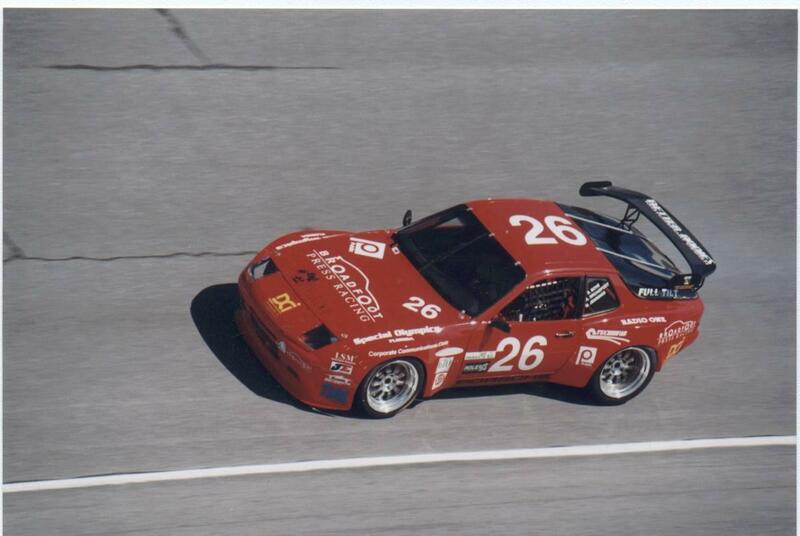 Then flex in rear edge of front fenders. 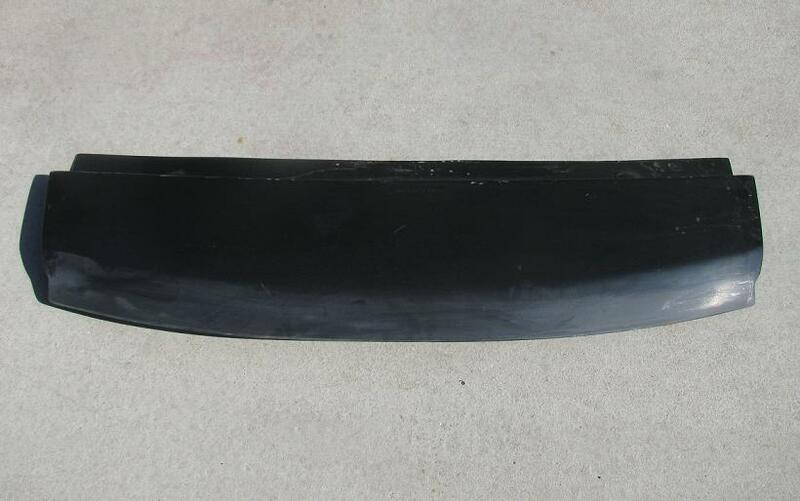 This will flare out the rear portion of the fender. When mounting the rears- the front edge of the rear fender will also need to be flexed inward to flare out the leading edge of the fender. I'm not sure why the company who made these for use back in 1997 made the molds this way, but that is just the way it is. 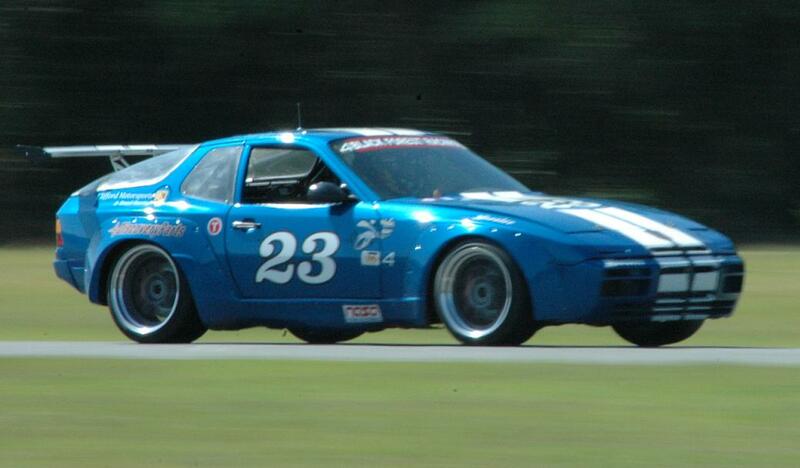 We are however, making new molds of this exact same kit, which will have a much better fitment. Please do not order if you are not willing to put a little extra time into mounting. No Returns! 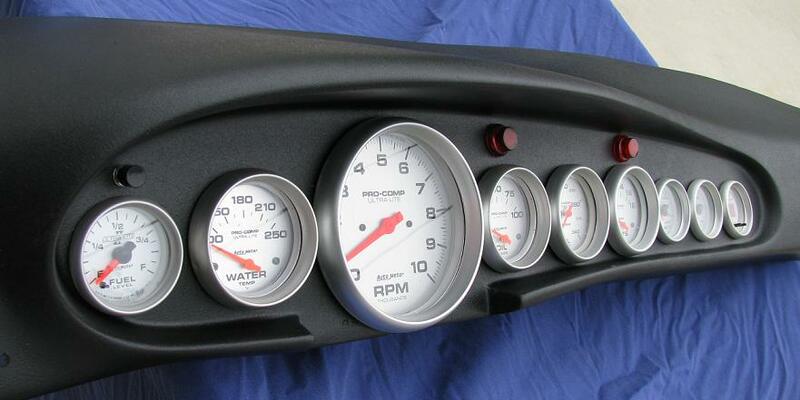 This kit can be fitted to any 1983 -UP 944, 944S, 944 Turbo, and 944S2. Requires fitting, prep, mounting, and painting. 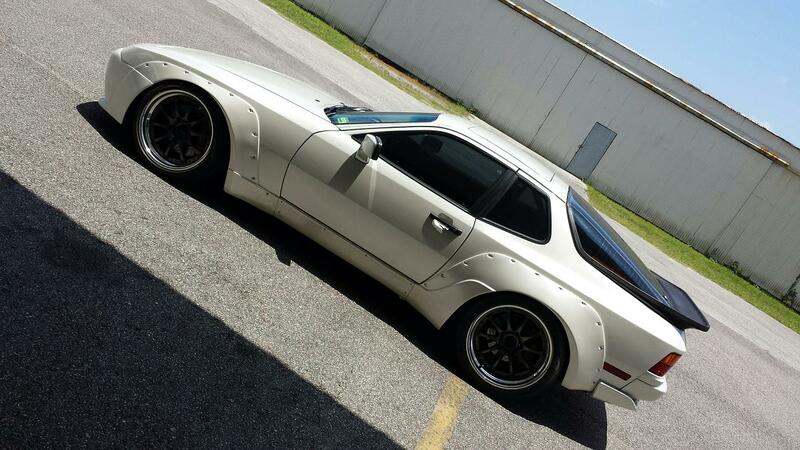 Fits stock (narrow body) 944S2 and 951 (944 Turbo) and will fit any 944 with modification to front of front fenders. 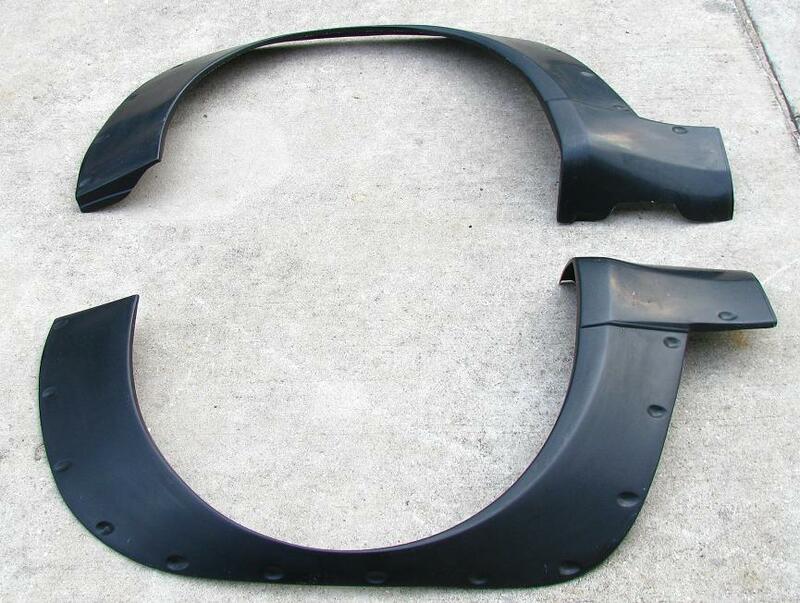 Requires cutting out center air inlets, and cutting for brake ducts if desired. Brake ducts are not included. Also requires painting and mounting. This part is for race cars only and has no provision for stock brake ducts or stock oil cooler inlet. These can however be cut out any way you want. Requires mounting, and painting. No previsions for A/C. Holes must be cut for your gauges. Gauges not included.